You might recall a little while back that oprainfall helped announce the latest upcoming title from Thunder Lotus Games, called Sundered. Thunder Lotus is well known for Jotun, their fantastically lush Viking epic which was also successfully Kickstarted. While I have yet to play Jotun myself, I was very impressed by the production values, and only hesitated because I wasn’t certain if I liked the genre that much. 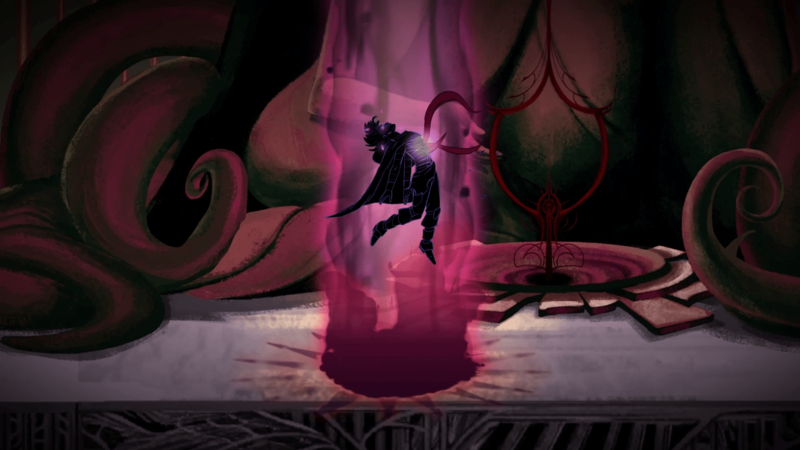 But when I found out that Sundered will be a Metroidvania with Cthulhu influence, I was immediately sold. Tack on to that our preview piece which spoke in glowing words about how amazing the game is at this early stage, and you can color me excited. But for those of you who still need convincing, let’s go over the basics real quick. 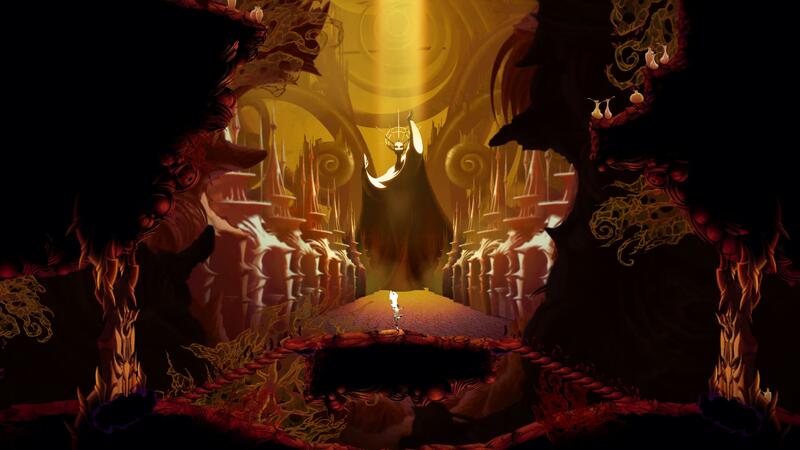 In Sundered players control Eshe, who is stranded in some Lovecraftian abyss and can only make it out using strange and mystical artifacts and powers. The world has been ripped apart by the cataclysmic Terror, which has decimated society and thrust the whole world into chaos. Ehse wanders into a sandstorm and finds a mysterious cavern which holds the clues to what really happened to the world. Your constant battle is whether to Resist or Embrace eldritch power, and depending on your decisions, you will either keep your soul or sacrifice it. 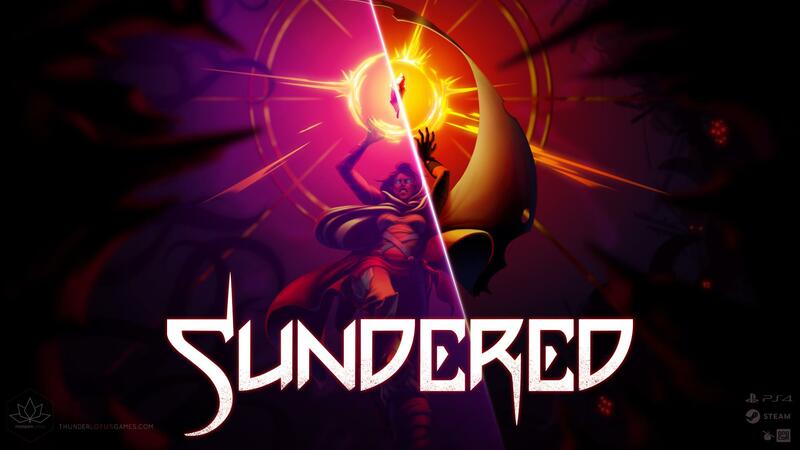 Sundered will also reflect the importance of your decision through various endings and different boss battles, which should allow for some nice replay value. Further adding to that is the procedurally generated labyrinths, which are never the same in any given playthroughs, with the exception of certain areas that anchor your quest. As you progress through the game, you acquire new abilities, such as a Shield, Double Jump, Hook Shot, Wall Run and more. If you choose that power is all that matters, you can instead acquire corrupted versions of these abilities, which are incredibly powerful but put your soul at dire risk. 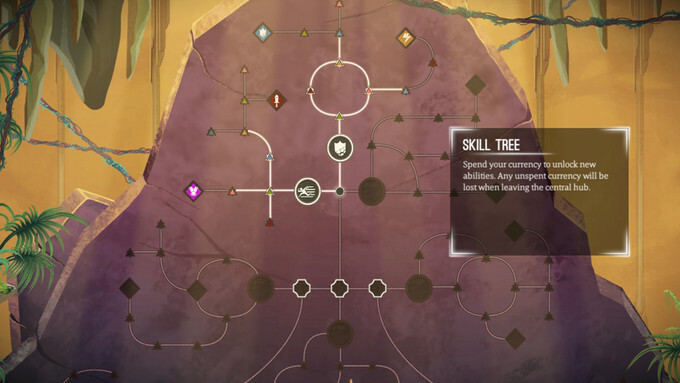 You can also unlock various perks as you play and die again and again, giving yourself a better chance for success. It all sounds fascinating in theory, and I hope the execution is just as nuanced. 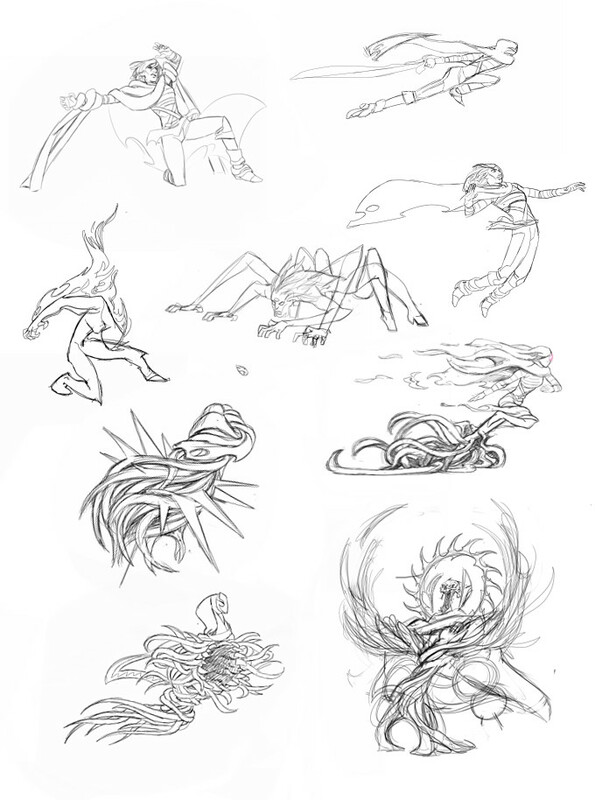 Perhaps best of all, and the thing that immediately drew me to the project, is the lush handrawn art in Sundered. Just like in Jotun, every aspect of the game is vividly crafted to amaze, and the whole world looks like a dark and ominous fairy tale brought to life. The pallets of red, yellow, purple and green only contribute to the Lovecraftian vibe and makes you certain no inch of this world is safe. Likewise, the hordes of unholy creatures all look wonderfully terrifying, especially the massive boss fights. Also helping immerse players in the quest is the soundtrack, composed by Max LL, with sound design by Pixel Audio, known for their work on Jotun. Best of all, Sony is acting as a partner for Thunder Lotus Games, which hopefully will contribute to a faster turnaround and better marketing. As of now, Sundered is slated to release in a few short months, assuming that they get the funding they need from folks like you and me. While I may have doubts about such a quick turnaround, since most of the projects I have backed take at least a year, I fervently hope this projection isn’t too far off. Cause I honestly want to play Sundered as soon as possible! 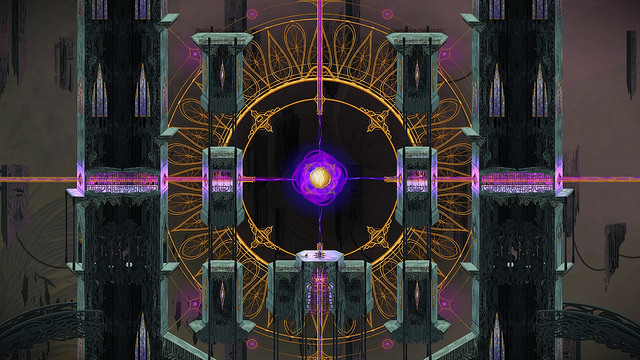 Speaking of playing it, if funded Sundered will be available for Windows, Mac & Linux and Playstation 4. The stated funding goal right now is $19,023 and it’s actually already very close to that goal. As of right now, it’s hit about $15,000 and I’m confident it will be funded in short order, perhaps even today. However, I still recommend those of you interested help fund it, since there are some nice tiers to choose from and because that will likely contribute to eventual stretch goals. Here are some of the tiers you can help pledge at: For $20, you get the base digital game and closed Beta access; $30 gets your name in the credits as well as the digital soundtrack; $50 gets you closed alpha access, a digital artbook, and you being credited as an Eschaton Cultist; for $100 get a physical collector’s edition box; and for $250 you become immortalized as a fallen Valkyrie Elite Soldier. There was also an early bird tier, but that has already been maxed out entirely. 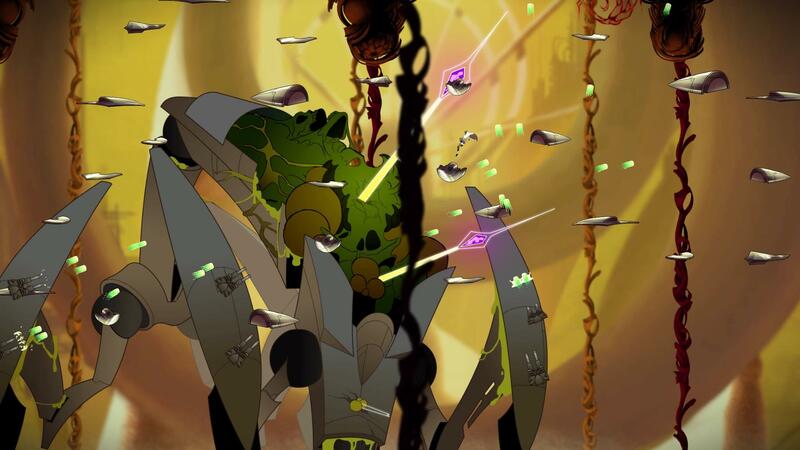 Sundered is shaping up to be a great success for Thunder Lotus Games, and I hope the end result is as good as it looks. 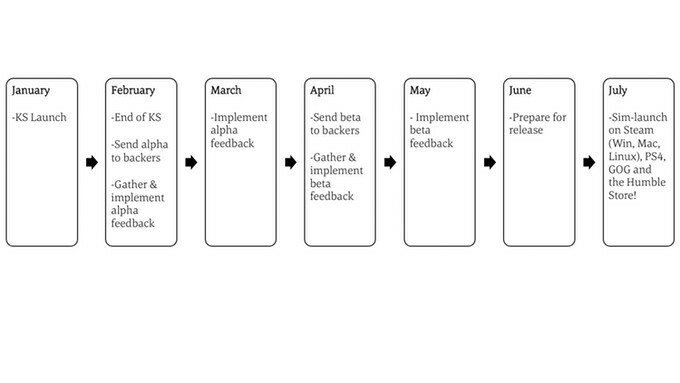 To see the full details, check out their Kickstarter page and help spread the madness!